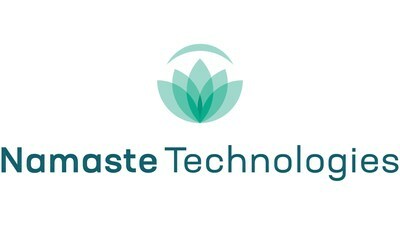 Namaste Technologies Inc. is pleased to announce that the Company’s wholly-owned subsidiary, Cannmart Inc. (“Cannmart”), has signed a Product Acquisition Agreement (the “Agreement”) with Weed Me Inc. (“Weed Me”), whereby Cannmart will purchase medical cannabis from Weed Me to offer in its online platform. The Company’s goal is for Cannmart to become the leading online marketplace for medical cannabis in Canada by offering the largest selection of product and in offering excellent customer service. With Namaste’s technology and Cannmart’s platform, the Company believes it is well-positioned to offer significant value as a sales-channel to a broad range of licensed producers across Canada. Namaste’s management team is confident in its ability to set itself apart as a true innovator in the cannabis e-commerce space. Weed Me, established in April 2016, is a leading Canadian Licensed Producer that has the exclusive Canadian rights to Dutch Passion genetics. Weed Me’s vision is to enhance lives through the provision of high quality medical and recreational cannabis. Located in Pickering Ontario the company focuses on developing unique formulations and cannabis strains that meet the needs of recreational and medical users. Weed Me leverages the company’s production facilities and clinical data to minimize operating costs while developing unique strains and formulations.